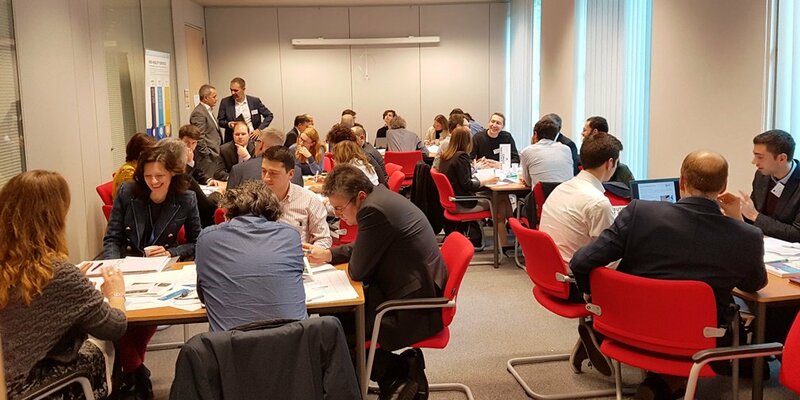 Brussels, BE: On 26 January 2018 representatives of 40 cities sat around the table at the Innovation and Networks Executive Agency (INEA) with industry representatives and experts to ensure that the €263.84 million invested by the Commission through the Horizon 2020 Smart Cities and Communities programme generates returns. The funding provided by the H2020 programme is generating savings by stimulating common solutions to shared challenges, allowing cities to collaborate on design, and even engage in cross-border joint procurement. When cities create scale through demand aggregation they have the power to shape and influence the market. 40 cities making a joint purchase of 1000 electric busses have a lot more power to dictate prices and standards than each city individually seeking to purchase 25 units. Reducing 40 transactions to a single one also means spending only a fraction of the man-hours that would otherwise be needed. Cities are using these economies of scale to make concrete improvements to residents’ lives. The city of Munich is piloting a ‘virtual power plant’, so that residents can store solar energy generated on their rooftops and use a mobile app to sell it back to the grid during peak demand. This technology is now being put in the hands of EU citizens in many European cities. Funding from the Commission helps cities share these technologies so that they can learn from each other and replicate successful solutions throughout Europe. In Burgas, ‘smart lamp posts’ use LED bulbs and a reactive dimming system to save over 50% of the energy used for street lighting. This means using less energy, creating less pollution and allowing more money to be spent elsewhere. Sensors installed in the lamp posts also give the city information about noise levels and congestion patterns which can inform further urban developments. This is another idea that is spreading like wildfire across Europe, with the Commission expecting to see 10 million of these lamp posts built by 2025. Other measures discussed in Friday’s meeting were bike and car sharing, and smart parking; building retrofit; zero emission zones; sustainable logistics; and electric vehicles. The scale of these projects means that cities are becoming more attractive to global investors, as cooperation promises enormous returns and greatly reduced risk. Friday’s meeting was the opportunity for these 40 follower cities to exchange about the hurdles they have encountered so far, so that they can learn from each other to achieve more effective collaboration, leading to larger returns on the programme’s investments. Building smart cities creates wealth and combats waste through establishing economies of scale, creating greater efficiency within cities, and improving the health of citizens. The WHO estimates that the health impacts of air pollution cost the EU over 1 trillion euro in 2010 alone. If cities can join forces to implement smart solutions, engage in joint procurement, and cut energy costs to create a greener Europe, the Commission’s ½ billion investment will surely be money well spent. These projects are already producing positive results, and the Commission is fully supportive to build further momentum along this trajectory. Jens Bartholmes, policy officer at the European Commission, invited cities to come forward and share their smart city related plans and needs. The Commission tasked the support team of the European Innovation Partnership for Smart Cities and Communities Marketplace to help with this data collection and based on this overview of real needs will fine-tune its support to European cities.